In this age of Google and mobile search, the struggles, stresses and pitfalls of trying to grow a law practice are real. You want your website to generate highly qualified leads obtained in an ethical and cost-effective way. Unfortunately there’s a lot of misinformation and misdirection when it comes to SEO for lawyers. We hope that this information page helps clear the muddied waters so you can make better decisions for your law firm SEO. Most business owners have been burned before. Too many SEO firms promise you the moon when it comes to SEO and marketing your practice. You’ve probably had to sit through cold calls, sales pitches, and may even have lost money trusting SEO companies that over-promised fast results. But something isn’t working. You feel like you should have more cases going through your law firm. Then you conduct Google searches for terms you think your law firm should rank for… This makes you wonder if you’re on the right track and if you’re doing everything you can to help your practice become successful. This page is intended to give attorneys a better understanding of how search engine optimization for law firms works. SEO for law firms is a very competitive market and no easy task to obtain page 1-2 rankings… let’s face it, there are a lot of lawyers! However, the more knowledgeable you are on local SEO for lawyers; the better off you will be against your competition. Attorneys have to go through a multitude of educational prerequisites. You have to pass the regular bar exam, the ethics portion, as well as the character and fitness screening to just become licensed. There are regular CLE requirements, you have to pay bar dues, maintain at least a minimum standard of ethical conduct and competence in order to remain licensed. Potential clients have a right to expect a minimum level of competence and professionalism when they’re looking to hire a lawyer. And as a regulated profession, they have regulatory recourse when they don’t get it. However, the world of SEO for lawyers is a little different. You have to weed out the criminals, con artists, incompetent hacks, and useless middlemen to find the skilled and ethical professionals. And it can be very difficult to tell them apart. Too many of these hacks continue to use old and dead tactics that search engines like Google frown upon. This in turn negatively affects your website rank. There are no regulatory or ethical constraints for SEO providers and there are no educational prerequisites to entering the SEO business or even calling themselves SEO experts. Judging from some of the horror stories we’ve heard from our clients, there are more terrible SEO professionals out there than talented ones. More than likely they claim years or even decades of experience in legal marketing and even have great looking websites. The truth is anyone can claim to be a legal SEO specialist. Unfortunately, attorneys frequently put their businesses at risk by hiring an SEO person or company that isn’t properly qualified. Using antiquated techniques. I’ll discuss this further down the page. Not following search engine guidelines. There are a very limited number of things an inexperienced marketing person can do for a law firm that improves your site’s rank and doesn’t go against Google’s Webmaster Guidelines. Outsourcing SEO work. Many firms outsource work offshore to independent contractors in places like India, Russia, Pakistan and Kenya. Trusting one of your business’ most important assets in the hands of someone across the world with no knowledge of your profession, practice or local SEO. Duplicate content. Many SEO providers sell duplicate content as a one-size-fits-all SEO strategy for every attorney. This is equivalent to “running in place”. It looks great and you’re paying for “quality” search engine optimization for lawyers but your site isn’t gaining in rank because you’re using duplicate content. At WMD, we talk with lawyers all the time who have been with various SEO providers. These lawyers tell us horror stories of how they are getting misled and/or ripped off by an “SEO expert” ranging from large SEO firms to individuals pretending to run a reputable company. SEO for law firms isn’t rocket science, but it also isn’t easy. You have to be able to dedicate many hours to developing the right keyword rich content, properly optimize it for your the top keywords pertaining to your field of law and according to Google’s guidelines. It’s tricky. Keeping up with Google’s algorithm updates can be tricky. If your site isn’t ready for some of the algorithm changes, your Google rank can fall like a rock. It’s about the fundamentals. You want your SEO provider to help you create cost-efficient and effective SEO strategies that deliver more traffic to your legal website. By sticking to the fundamentals of SEO for lawyers we are able to help your website thrive online. The right technology is a must. We use the right SEO technology, tracking your progress and understanding what’s working (and what’s not). 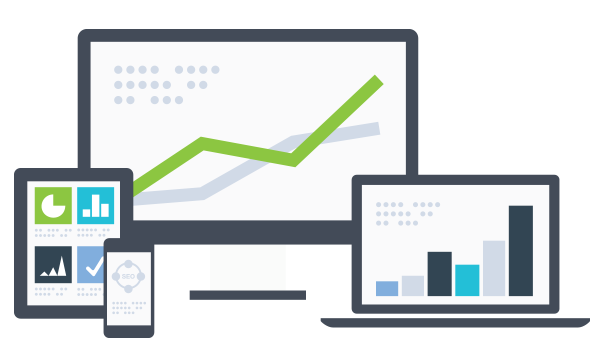 This allows us to make weekly SEO adjustments and constantly improve your site’s performance. It’s about avoiding pitfalls. Once you find the right SEO provider, they can help you understand what drives your competitors’ successes, and create a plan to beat them. If you have a ton of time to learn about SEO then it can be easy to understand and implement… but let’s face it, not only do you don’t have time now but the main reason you’re looking for help is because you want to be busier with law clients. Not learning the complexities of search engine optimization for lawyers. WHERE IS YOUR LAW FIRM SEO FALLING SHORT? Bad “Experts” – You’ve hired an “SEO for Lawyers Expert” but your site isn’t moving in the right direction. You may have even been with several “Law Firm SEO Experts” with the same results..
Don’t Have the Time – Let’s face it, nobody cares about your law practice as much as you do. But your cases, clients and family are your priority. That leaves you with almost no time to keep up with the daily changes in technology and the SEO environment. Good Intentions / Bad Delegation – You entrusted your SEO and online marketing to friends or relatives you trust. Unfortunately they didn’t have the expertise to successfully optimize your site. Now good intentions have turned into wasted time and possibly loss of rank. See if it Sticks – These are the clients that keep falling for sales pitches for the next best thing. This results in a spaghetti strategy of law firm SEO — blindly trying everything in hopes that something will work. You throw it at the wall to see if it sticks but you don’t know what’s working and what isn’t. Dead Methods – There are many SEO tricks that seemed to work for a while, but now you’ve been hit with a Google penalty resulting in being passed by your competitors. Burned – Some people have been burned so many times before that they’re starting to think that all SEO experts are corrupt or incompetent. You’re starting to feel hopeless online. Our CEO Stone Slade has built several successful marketing campaigns for lawyers using the internet and SEO. We have been able to use those search engine optimization and content marketing strategies to build a highly successful law firm SEO system. In 2011 he co-founded LawLytics to help attorneys escape the marketing treadmill and empower them to have successful online marketing without wasting time or money. 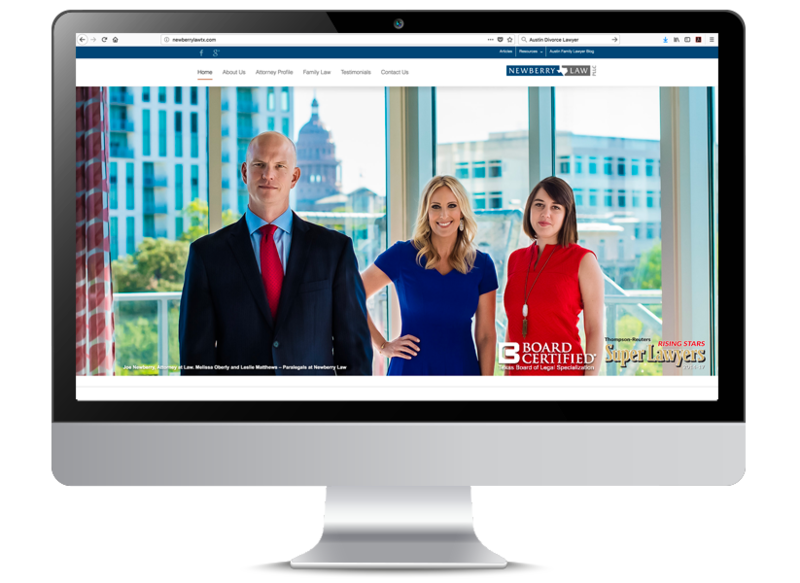 WMD has created one of the most extensive, search engine friendly law firm website marketing systems. We do all of the things required to perform a world-class SEO plan that will get your site ranking for your business’ top keywords as fast as technically possible. Our web designers do all of the technical and design tasks needed to make your law firm website SEO-friendly. We stay ahead of the ever changing search engine landscape so when Google’s standards change, your law firm’s website has already been updated in anticipation of the latest search engine algorithm. Wet Media Digital has developed an optimization system for helping law firms succeed using content marketing and SEO. It’s our job to continuously optimize your law firm website to maximize your ability to attract new clients through search engine acquisition. The WMD system adds SEO-friendly semantic markup to your site. We also create special SEO-friendly pages for your attorney bios, offices, case results and testimonials. Google maps is integrated into your web pages which makes finding your business easy for potential clients. 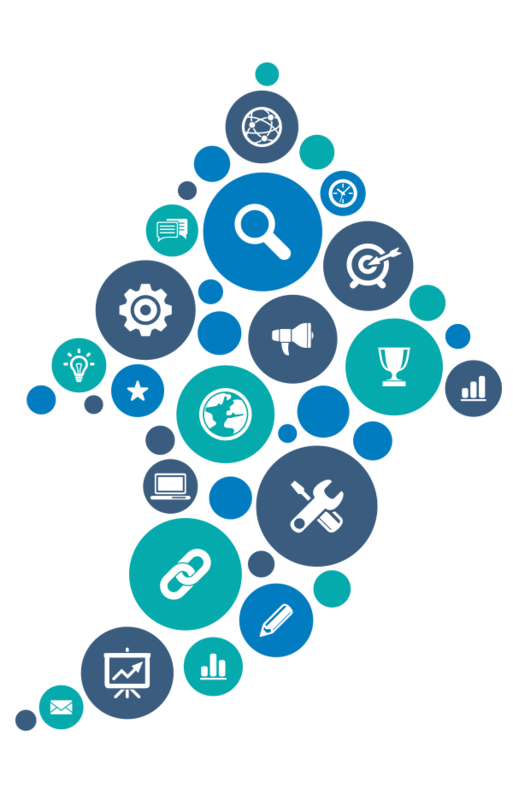 Each time we add new content or update pages a new sitemap file is created and immediately sent to all the search engines insuring that we not only climb in rank but also hold the valuable position we already possess. It’s a priority to rank for all the top law firm keywords but we also concentrate on the “long tail” keywords of law firm SEO to make sure no potential business is falling through the cracks. Our system that we’ve specialized for lawyers empowers them to focus on content and clients. Because content is the single biggest factor of success for both SEO and for converting potential clients into clients for life once they find your law firm website. Nothing is more important than providing content that is responsive to the keywords for which your potential client has searched. This is the number 1 ranking factor used by Google, Bing, Yahoo and all the other search engines. We optimize your law firm website to make success simple. By staying on top of all the daily SEO trends, we are able to use the most cutting edge SEO practices required to be good at search engine optimization. In fact, because we stay up to date on the daily changes related to search engines, we help you avoid the mistakes that overpriced SEO providers often make. There is a ton of horribly negligent SEO advice out there. A lot is harmless but it distracts lawyers from focusing on what really improves the performance of your law firm website. It is totally misleading to claim that the work a law firm SEO company does outside of your website is more important that what is done on the actual website. That would imply that the quality of the content on your website is less important than links from other sites and other various things that these “SEO experts” try to sell you. However, many SEO firms take this misguided approach. The reason? It’s almost impossible for the attorney to see whether anything worthwhile is being done to earn their SEO fee. BAD SEO PRACTICE 1: Writing and distributing press releases. At one time, you could distributing a press release using PRWEB or PRNEWSWIRE. Adding links anchored by strategic keywords was beneficial to your law firm SEO. The SEO benefits of press releases have been nullified by Google’s Panda updates. The only possible strategy that still works using press releases to boost search engine optimization is to write press releases that actually get legitimate press. Anything else simply doesn’t positively affect your keyword rankings. Adding SEO links to press releases today is seen as misleading. A link designed to add search engine optimization value doesn’t naturally contain a “no-follow” tag. Therefore it’s susceptible to receiving a penalty from Google as an unnatural link. This negates any potential SEO benefit assuming that a “no-follow” tag is used. Steer clear of any law firm marketing company that is selling the crafting and distribution of press releases as a strong SEO strategy. NOTE: From just a marketing perspective, press releases remain a great vehicle for making contact with journalists and media outlets. As well as for building overall brand awareness. They can also help attorneys who have a negative online reputation. They just aren’t beneficial SEO for lawyers tactics. Any law firm SEO company that sells press releases as part of their SEO strategy should be viewed with suspicion. BAD SEO PRACTICE 2: Creating articles for content farms. Many moons ago, content farms were an awesome way to get backlinks and increase Google ranking. A “content farm” is a website that publishes mostly low quality daily articles or posts, written by freelancers primarily for SEO benefit. Google has cracked down hard on these types of SEO tactics. Updates, specifically the Google Panda updates, targeted sites that were ranked based on these links and articles using those sites. All the websites that had benefited for so long using these deceptive tactics were penalized and lost ranking. Many of these sites died without being bolstered by the ability to promise Google ranking in exchange for content. Many misguided lawyer SEO firms still use this sales tactic. Promising to publish articles on content farm type sites. It’s highly unlikely that they refer to them as “content farms” so be aware of what they’re selling. Stay away from this tactic because, at best, it’s a waste of time and money, and at worse they have the potential to do more harm to your site than good. BAD SEO PRACTICE 3: Submitting websites to link directories. At one time Google’s webmaster guidelines contained advice to “submit your site to relevant directories such as the Open Directory Project, as well as other industry-specific expert sites. However, this advice has since been removed from Google’s guidelines. Since then, Google has severely devalued links from directories, removed directories from their index, and send site owners link warnings or assessed penalties. Today, it is NOT a good SEO tactic to submit a law firm website to link directories. As a matter of fact, it’s useless at best, and an immensely dangerous practice under most circumstances. It’s obvious that directory submissions are done with the primary goal of gaining better search engine rankings for law firm websites. Stay away from webmasters that claim this builds web authority. There’s a mountain of evidence that says otherwise..
BAD SEO PRACTICE 4: Paying for guest blog posts or links on prestigious publications. A few SEO providers claim to be able to publish articles in prestigious publications such as Inc, HuffPost and Business Insider, be aware that the objective of those publications is not to be used as a “content farm”. In fact, most times this is a deceptive tactic in order to sell SEO services to their customers and is highly unlikely to work. In the rare occasion that the publication does accept an article, the majority of them automatically add “nofollow” tags to the links, rendering them useless in terms of SEO. This is done purposefully to prevent the abuse of their publications by unethical SEO providers. BAD SEO PRACTICE 5: Setting up link-bait. Some SEO firms design schemes executed on behalf of attorneys in an attempt to trick institutions or people into providing links to their law firm website. These tactics are highly questionable and downright unethical. Typically the results, if achieved, are unsatisfying, dangerous to your business, and very short-lived. Creating fake scholarships or grants to get colleges to link back to the law firm. Devising scholarships or contests directed at students which require them to post their submission and link back to the law firm. Promoting bogus or meaningless charity events in order to get respected community organizations to link back to the law firm. Over time, none of these tactics will pay off. These are all viewed as unnatural links which are created to manipulate the search engines. BAD SEO PRACTICE 6: Engage in link schemes. Buying or selling links that pass rank. Including the exchanging of anything of value for said links. Or giving something away for free in exchange for a link to your law firm’s website. Large scale article marketing and guest posting campaigns with links that contain anchor text using keywords. Keyword rich low-quality links embedded in widgets. Poor quality directory or bookmark site links. Forum comments containing optimized links in posts or signatures. If an SEO firm is not creating high-quality content for your website, while they claim to be doing “off-site” optimization, then there are very few things that they can do on your behalf that adds value and doesn’t create liability for your law firm. We recommend that you insist your SEO provider shares a log of all “off-site” actions they perform on your behalf, complete with links, that way you can be aware of what they’re doing. If you see anything involving involves link schemes, you can put an immediate stop to it. If they are unwilling to do this, it’s because either they weren’t planning on doing anything in the first place, or they were planning on using bad SEO practices. It upsets us when SEO companies create additional charges for things that should be included with their law firm website optimization. In most cases these are things that take mere minutes to do, and may need the attorney’s involvement..
EASY SEO WIN 1: Claim and verify your local directory listings. Claiming and setting up most of the local listings and citations are easy and will get the ball moving to help your law firm get more clients. A five or ten minute investment of your time may be needed in order for your SEO expert to get these set up. Although, some of them require that you receive verification in the US Mail to confirm your business and physical address. Thankfully this process only needs to be done once. Here’s how to create a Google Business Listing (“Google My Business”) or claim an existing listing. This is usually set up by the owner before we come onboard. However, if it is not, then we don’t add an additional fee to set it up for your law firm. One of the most common issues we see with law firms who’ve had previous marketing or SEO companies working for them is the creation of multiple conflicting listings. When this happens, it’s imperative to get the duplicate listing removed as quick as possible. Sometimes it’s as easy as signing into Google My Business, clicking “Duplicate locations” at the top of the page, and then remove the unwanted listings. Unfortunately some of these unethical SEO “gurus” may not have passed on all of your needed login info. If you don’t see the duplicate listing you want to remove in your account, you may need to claim ownership over that listing before removing it. EASY SEO WIN 2: Positive reviews from former clients and colleagues. You don’t want to get into huge SEO and ethics trouble. But many attorneys set themselves up for those kinds of problems when they aren’t hands-on in the process of getting and managing reviews from current and former clients. Getting good online reviews from real clients, and avoiding or mitigating negative reviews is very important to the process of converting potential clients into clients and modern SEO. Reputation management for lawyers is a huge part of having a successful law firm. The best SEO ranking in the world can’t help you too much if you have terrible reviews. It’s very important to monitor, filter and display reviews across a wide range of review sites including Google, Facebook, Yelp, and Avvo. We help monitor your reviews so you don’t have to but we believe all attorneys should have control over the review process. This is because law firm marketers without legal backgrounds can get lawyers in trouble. Your SEO guy adds rating markup to your site that doesn’t match real recommendations. We believe that no law firm SEO company should be in charge of managing or cultivating your reviews, it’s your reputation on the line. Getting and managing reviews is easy and the involvement of your firm can be baked into the process of closing files at the conclusion of a matter. That’s the best time to solicit a client for a good review. Outside of that, we monitor your review site accounts and let you know if any action needs to be taken. It’s important to respond to your reviewers, good and bad. So anytime a new review comes in, we contact you with a link to the review so you can author a reply. Simply send it back to us to proof and we post it to your review. EASY SEO WIN 3: Setting up social media accounts. In today’s world social media plays a very important role in the success of your law firm’s website. However, it’s important to approach social media strategically or it could negatively affect your business and website. Some SEO for lawyers companies try to sell you social media marketing separately from their SEO services. Your social media accounts and activities should work hand in hand with your law firm’s website, and actually help support it. However, social media IS NOT a viable replacement for a website with a built-in law firm blog. It’s our recommendation that attorneys connect their personal accounts as well as their business accounts. Typically personal accounts will get shared more often by your “friends”. WMD does not recommend paying somebody to run social campaigns for your law firm. It’s been our experience that most law firms don’t get a ton business from direct social media marketing. We do, however, use your social media outlets to promote your new keyword rich blog posts. By sharing your fresh blog content through your social media channels it helps circulate valuable content. When done correctly, people share your content and link back to it because it provides readers with something of value. This can have a real and lasting effect on SEO for attorneys. HOW LONG BEFORE I SEE RESULTS FOR LAW FIRM SEO? Ah, the golden SEO question. The amount of time that it takes for your efforts to start paying off really depends on the intensity of effort or resources that you make available. We’ve seen great results in as little as three to four months by following an aggressive and strategic content-centric SEO plan. However, these are ideal results and in the absence of previous bad SEO practices on a law firm’s website. It’s easier to rank a fresh new website than it is to take over a site that the previous SEO firm(s) has spent months tanking through bad practices. It’s not impossible, it just takes a little more work and time. Some firms that end up being highly successful may have waited significantly longer, but their patience really pays off in the end. • How much content is on your website. • The quality of the content on your website. • How unique your content is. • The architecture of your website. • How your content is formatted. • The ease of use of your website. • The overall competitiveness of your market. • The scope of your geographic targeting. • Did the previous or current SEO firm “build links” for your law firm’s website (the reason this delays the process of ranking well is because the site must regain the confidence of the search engines)? • Avoiding allowing fancy designs, moving images,large image files and other unnecessary nonsense from designers get in the way of your content efforts (remember, less is more and typically returns more rapid results). The fact is that using organic SEO to create a sustainable web presence takes time. It’s important for attorneys to understand this, be patient, and don’t fall for quick-fixes and shortcuts. Those that do end up winning in the long run! WILL GOOGLE PAY-PER-CLICK ADS HELP WITH SEO? Unfortunately, lots of law firm SEO companies will confuse attorneys by making it sound like their “Google Partner” status somehow makes their SEO efforts more effective. They imply that they have an “in” with Google. This is 100% false, misleading, and unethical. The simple truth is that the Google Partner status means that they are authorized to resell Google products such as Adwords. Unfortunately, many so-called law firm SEO specialists will strategically display their status as a Google Partner. They do this in hopes of deceiving potential clients about their SEO services and capabilities. This would be the same as a law firm or lawyer advertising that they can get their clients more favorable results because they are friends with the local judges. It’s easy to fall into traps and associate with counterproductive SEO providers when you’re hungry for business and worried about making your online marketing work. For that reason, it’s imperative to hire an SEO firm that truly knows how Google works, and what search engine optimization really is. We direct our clients to follow Google’s own recommendation that “before beginning your search for an SEO expert, it’s a great idea to become an educated consumer.” Google recommends reading their Webmaster Guidelines, and How Google Search Works for starters. Once you have a better understand of how Google works, we believe that you’ll feel empowered to make the best choices. It’s also much easier to work with a client that has a better understanding of the attorney SEO process. How long have you been in business? Does stability matter? Of course it does! Some SEO providers run scams and operate under one business name until they get caught doing something adverse, and then quickly pop back up under another name. While other people who are struggling in their industry come to internet marketing because they see it as having the potential to make a quick buck. Have any of the company owners been convicted of any crime involving dishonesty? There are lots of dishonest crooks out there who have trouble securing employment and portray themselves as SEO professionals. We’ve also witnessed lawyers do business with common crooks who have had their websites sabotaged or even stolen. Do you outsource any of your work? A few law firm SEO companies outsource their work to foreign countries, even though they claim that they do not. Besides being deceptive about the quality of work you’re paying for, the language barrier can create huge ethics problems if they reword your original content for SEO purposes. Does your SEO firm follow Google Webmaster Guidelines? Go ahead and start running if they don’t know what this is. When you hire a firm that handles SEO for lawyers you want to make sure they are following Google Webmaster Guidelines to a T! Remember, deceptive SEO practices can destroy your website rank. Does your company have a special relationship with Google? If anybody answers “yes” to this, or they try to imply that the answer is anything other than “no,” you definitely should not do business with them. Ask for a checklist of everything that they will do for you and your law firm SEO. If they dance around this, you shouldn’t do business with them. Always ask for clarification if something is unclear. Most of the time attorneys get ripped off when they blindly assume that a law firm SEO provider is doing “stuff”. SEO is a must for your law firm website. So you want to make sure the guy driving your baby has a clear plan for success. Get in touch with Wet Media Designs today because we would love to chat about your law firm SEO project. Most of all, it would be our pleasure to help you make a statement on the web!